The small village town of Capitola clustered along the waters edge stands out as one of those unique and hard to find romantic places that may be your perfect spot for a few days of rest and recovery. If you have tried for the gazillionth time, to find a nice getaway along California's coast, then this very interesting beach town, might just satisfy all your needs. The sandy beaches alone would satisfy anyone, except maybe those world travelers who have been to the Azores or Bali. But add a few great coastal bluff hiking trails, great restaurants, rich vintage town history, and several blocks of beach and art oriented shopping, and you have most, if not all, the ingredients needed for a relaxing and fun beach escape. This charming seaside village reminds many of the robust and wild 1960's beach culture. Many of the restaurants on the Esplanade were here during that period, and for for a few moments when you first arrive, it almost seems like your living during that era again. This seaside town is full of romantic restaurants, along the water and farther up the hill towards the infamous Sharowbrook restaurant. The sounds of seagulls and the crisp ocean air will make this special trip a pleasant memory. In this small town of five thousand, you will find California's oldest seaside resort where you can snooze on the beach, swim in the warm ocean, or watch the ever present surfing crowd. If that gets old, just casually pan right and just watch the always interesting and diverse locals and vacationers who visit here year round. A typical first venture as soon as you get out of the car is to pick one of the many ocean view benches along the Esplanade, and kick back or maybe fly a kite, or watch the locals play volleyball. 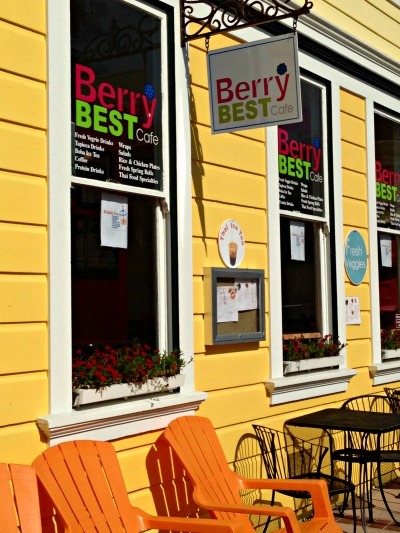 There are lots of shops within steps of the Esplanade and even a cliffside trolly ride that takes you to a local favorite restaurant. This beach is consistently voted among the top ten beaches anywhere along the Pacific coast by numerous magazines this could become one of your favorite beach hangouts where you join thousands like me, who would say without hesitation, that this little coastal secret is a true find. 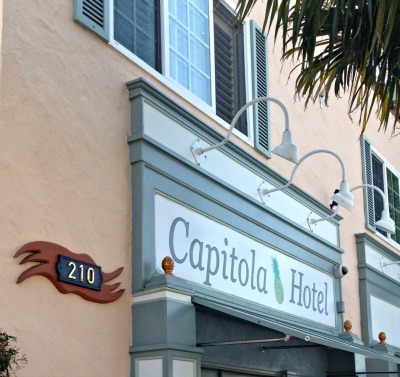 Capitola City Beach is steps, and I mean about twelve steps, from the front of your car, and right inn the middle of the action right along the Esplanade and close to many restaurants and shops. 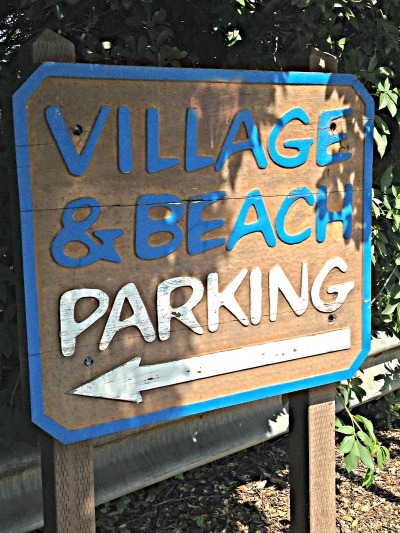 If you arrive during the summer and after about 10AM, you can park here if there is a spot left, or at the city hall parking about a half mile up Capitola Avenue. This is where ninety percent of visitors go and although it never seems to be crowded, it is not the peaceful and tranquil place many seek when they go to the beach. Hooper Beach is a little farther and past the Capitola Pier where there are no shops but a lot and I mean a lot of privacy. It seems none knows that this little stretch of thin beach is here and I have never seen more than three or four people on this beach in all of the times I have been been Ok, I will have to admit that shopping while I am at the beach is not my first choice of on this beach. New Brighton State Park Beach is about two miles away, but here you will find almost a mile of white soft beach sand perfect for long reflective walks, good conversation and an appreciation of the beauty of the California coast. There is a lot to love about New Brighton State Beach including the coastal bluff hiking trails, to the massive partially sunken ship at the end of the beach. The beach is can be reached by returning to Highway 1 via Capitola Avenue and taking the New Brighton/Park Avenue exit off Highway 1, just about a mile after you enter the highway. OK ... I will be candid here when I say my time at the beach doesn't usually include shopping for some kind of treasure. Having said that, there are some european like mom and pop shops, all within a block of the Esplanade that are interesting and curious places that showcase local artists, beach wear, and even Christmas gifts that might just right for those who are hard to please. 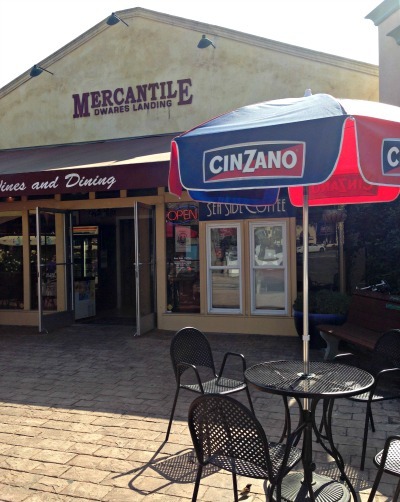 The Capitola European Mercantile is an assortment of shops all contained in one large building. You will notice lots of t shirts, bikinis, footwear and art, as well as what I would call curiosities. There is even a children's store with just that right beach stuff for the little guys ... if you don't mind spending thirty dollars for a six month old baby outfit who needs to look good on the beach. In the shops that are within walking distance from the water, you will find unique hand crafted art, gifts and even hand made sandals. As you take the circular tour of shops you will also see unique shells, surf gear beauty products, clothing stores where I found a Tommy Bahama like shirt for half the price I paid in my local stores back home. If you get tired and your feet being to ache there is even a wine bar and shop. If you, like many, enjoy the work of Thomas Kincaid, you might enjoy the small back room gallery off the Esplanade that features both full size and smaller original art from this artist known by many. Not fond of group tours? 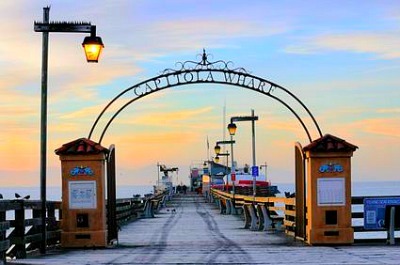 You might change your mind after this three hour tour along the streets and in the fine restaurants of Capitola. Consistently rated highly by Yelp and Trip Advisor, a fifty nine dollar ticket gets you local expertise and sample foods at local restaurants, decades of local knowledge and the satisfaction of knowing that you don't have to wander around in an unfamiliar place to know what to do, where to eat and how to have a good time. If you take the tour early in your visit, will give you the information needed to make your trip more enjoyable. During your three to three and a half hour tour, you will be taken to a traditional tea room for tea and sandwiches , a sushi restaurant, a beach grille and to a landmark restaurant along the Soquel river. 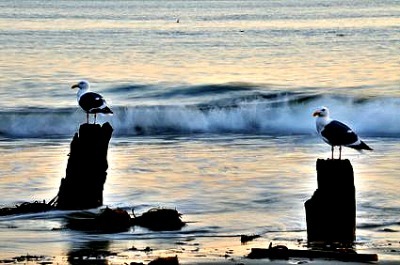 These tours are increasingly popular in Santa Cruz and in Carmel where they are well worth the tour fee. 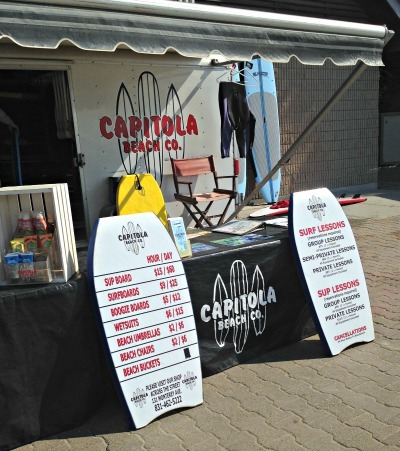 The tours in Capitola are on Thursday and begin at two thirty. The tour covers about two miles so wear comfortable shoes. Tours are seasonal beginning in April and continue until November. Tickets are available online or by phone at 800-838-3006. Delicious ... or unusual food is always high on the list of things to do whenever you get a chance to getaway to a new place ... right? 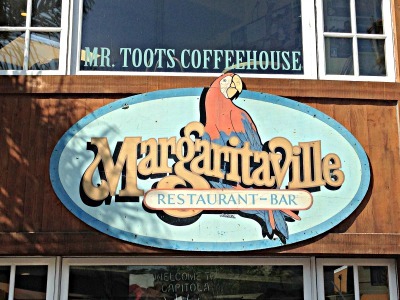 Well there are many restaurants along the ocean and more just a block away from the beach that will make you day trip extraordinary. Some of the restaurants here are shacks from the 60's an other are magnificent places to enjoy. We all have our own preferred place for really good food so if my idea of really good restaurants are different from yours please drop m e a line so I can include on this page. Remember, it gets crowded at any beach location here or anywhere else in the world on weekends and during the summer months, so do make reservations and plan ahead. 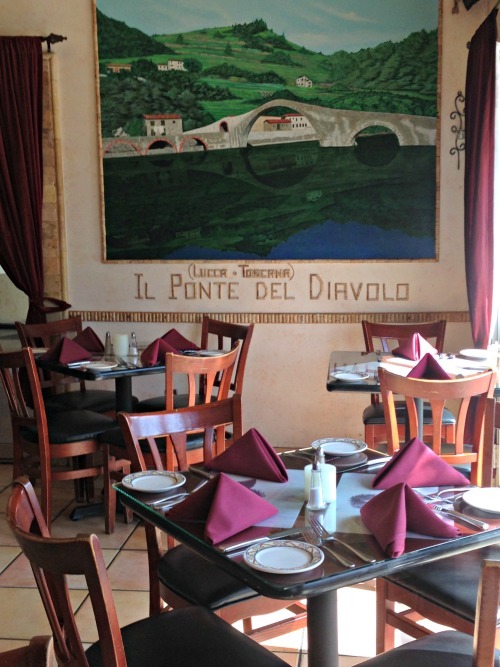 So maybe you want a cozy place to dine on some really good Italian food prepared by a friendly owner who sometime sings while he is making your meal. David sings well and adds to a nice dining experience. 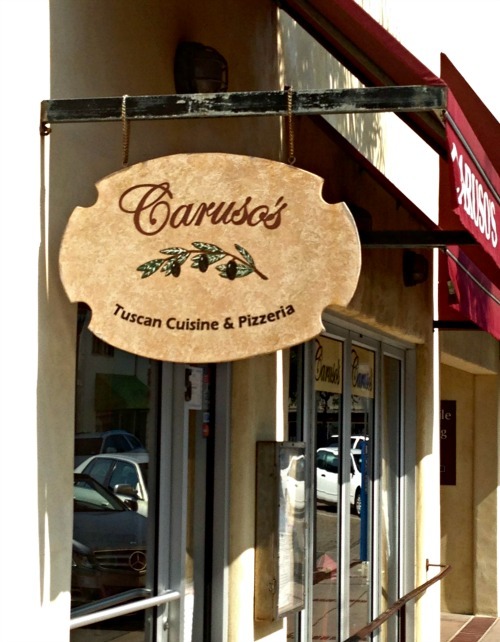 If this sound appealing, then Caruso's just off the Esplanade would make you very happy. But don't be surprised when you see only about six tables. 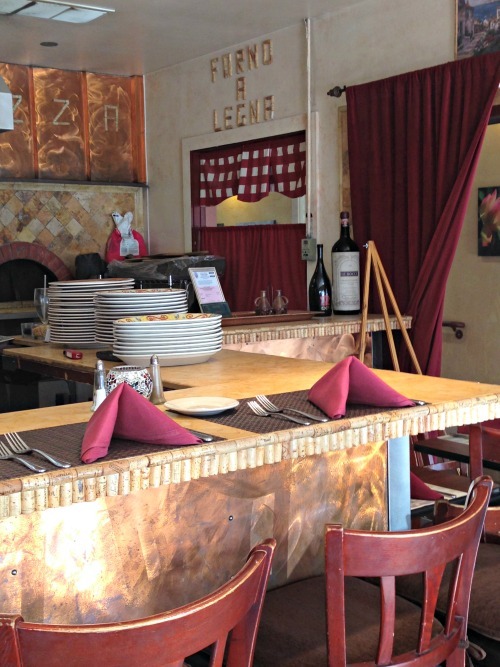 It's very cozy, but that is part of the charm ... along with the owners great voice. 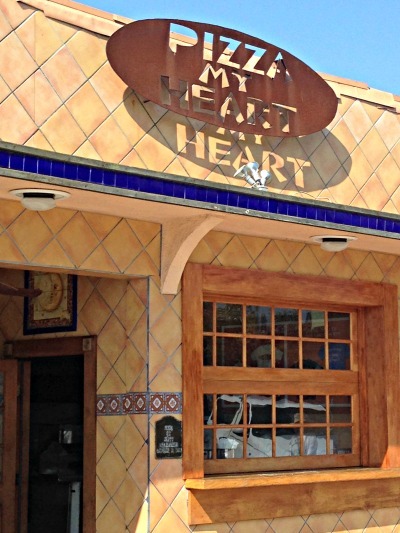 There are a few tables outside as well, and you will be warmly greeted by David the owner. A freshly baked loaf of bread begins your meal so take your time here. 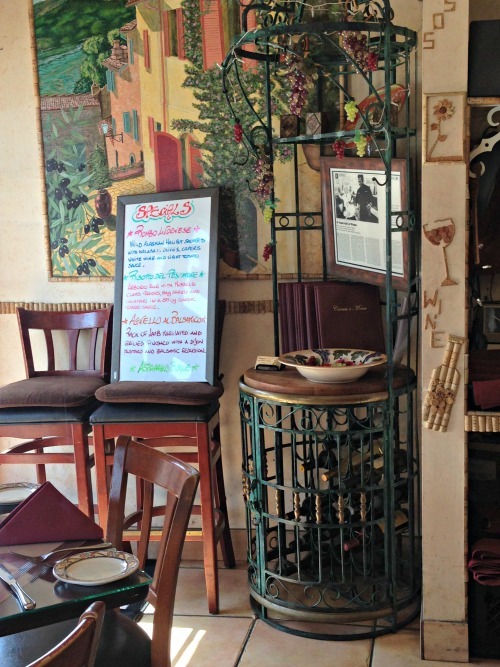 This tiny restaurant is incredibly charming and the food is not to be missed. Pizza My Heart is right on the water and has a huge following of those who love the special crust and the wide variety of toppings. The slices are huge and the lines often long, but this restaurant, than began here around 1983, is a real find. Take some pizza over to the benches that line the beach and just enjoy your gastronomical treat, the sound of the ocean, and the interesting people that walk by. When you order your pizza ask about their special price for a slice of pizza and a t-shirt! 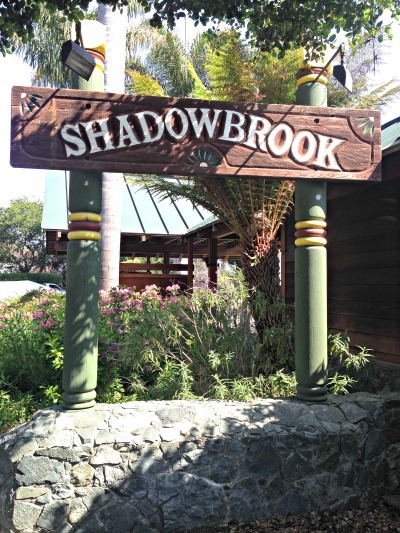 Everyone's automatic first choice for Capitola dining including Trip Advisor, seems to automatically be the Shadowbrook Restaurant. It's charming with its path lined gardens that cling to the cliff side setting and steps that lead down from Wharf Road, and the trolley car is a wonderful addition to your dining adventure, and the food is good as well. Open for dinner, this is a wonderful place amidst twinkling lights and live music for an intimate conversation on the nights when it is not crowded. The setting is fabulous, and I recommend it highly, but plan on a weekday for the best experience as the wait lines, even with a reservation can be longer than is comfortable and the restaurant can get noisy. 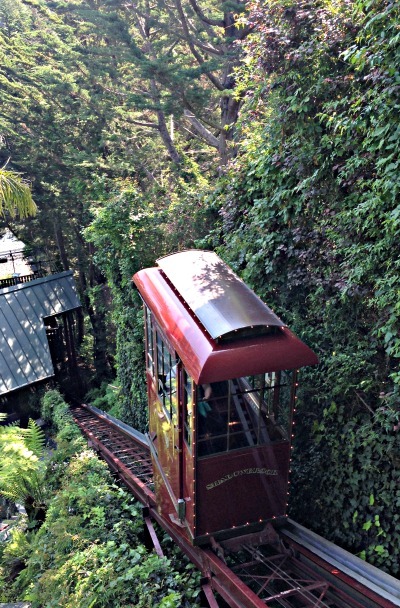 ShadowBrook's Trolley Car That Takes Guests Down To The River's Edge For Romantic Dining! The food is terrific with entrees from $25 to $35 dollars, appetizers are about $10 and a side of baked potato pretty close to $5. Try spending a little time by Soquel Creek before taking the steps through the garden and return via the trolley to avoid any delay in getting to your table on time. The twinkling lights at night over the river are wonderful, so plan to linger awhile during desert to make the most of your time here. 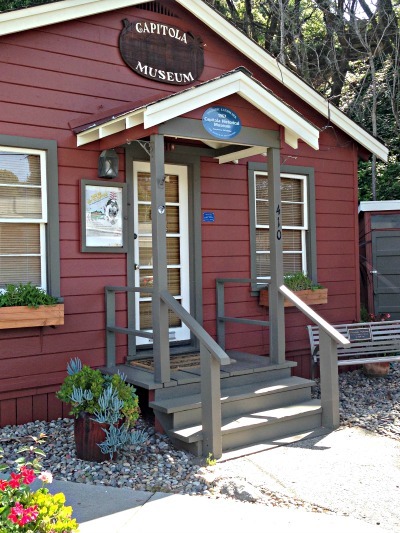 This 1920’s era farm cottage is a place to see what Capitola was really like in the 1800’s. Take a look at the pictures of the Esplanade and see the site for of the grand Hotel Capitola built in 1894, and then look at the pictures of the six sisters built in 1903 that still exists on the Espalnade. After you leave the museum walk on down to the Espalnade and look for these vintage cottages still used as beach rentals and numbered 110 to 122 with views of the ocean. As you drive through town, look for the train trestle that is still in operation. Built in 1874, it's a romantic reminder of the way it was here a long time ago. Park across from the trestle in the Capitola Police Station and Capitola City Hall parking lot across the street, and find your way to the River view Path where you can walk up towards the Shadowbrook Restaurant on he opposite side of the river. On you way back, enjoy the vintage cottages that line the river and visualize the elaborate floats that navigate this rivers during the annual begonia festival held every year on Labor Day. 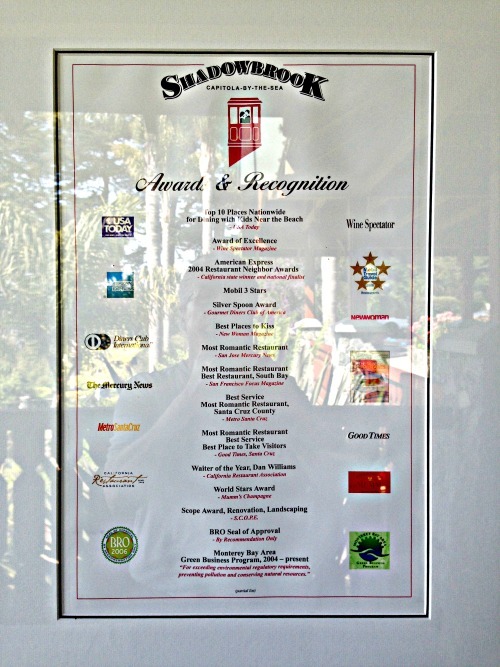 This annual Labor Day Begonia festival on the beach in Capitola is not to be missed. There is fun here for everyone! Sand sculpture contests, a fishing derby, boat races, a horseshoe competition and the famous begonia covered floats are all part of the festivities that occur here every year on this date. In the evening, enjoy live music and movies on the beach ... all free and put together by local volunteers. Getting here is easy but parking is not unless you know where to go! Take Bay Avenue from Highway 1 just south of Santa Cruz, turn right on Capitola Avenue, and left on Cliff Avenue and than finally a right onto the Esplanade and the beach. You can park here if you arrive early using metered parking, or go back a few blocks on Capitola Avenue to the parking lot in back of the Capitola Police Station and City Hall. There is a huge parking lot behind the Capitola Police Station that you access from Monterey Ave up the hill from the Esplanade. Look for the huge parking lot on the left side as you approach Park Street. The lot has credit card machines and cash machines as well. Once you have paid take the short cut thru the back of the polikce station down the stairs and out onto the dtreet just a couple of blocks from the Esplanade ... simple and much cheaper than parking at the meters! Your probably about an hour from Monterey, so it's an easy day trip if that's your plan. Look For This Sign For Abundant Parking!